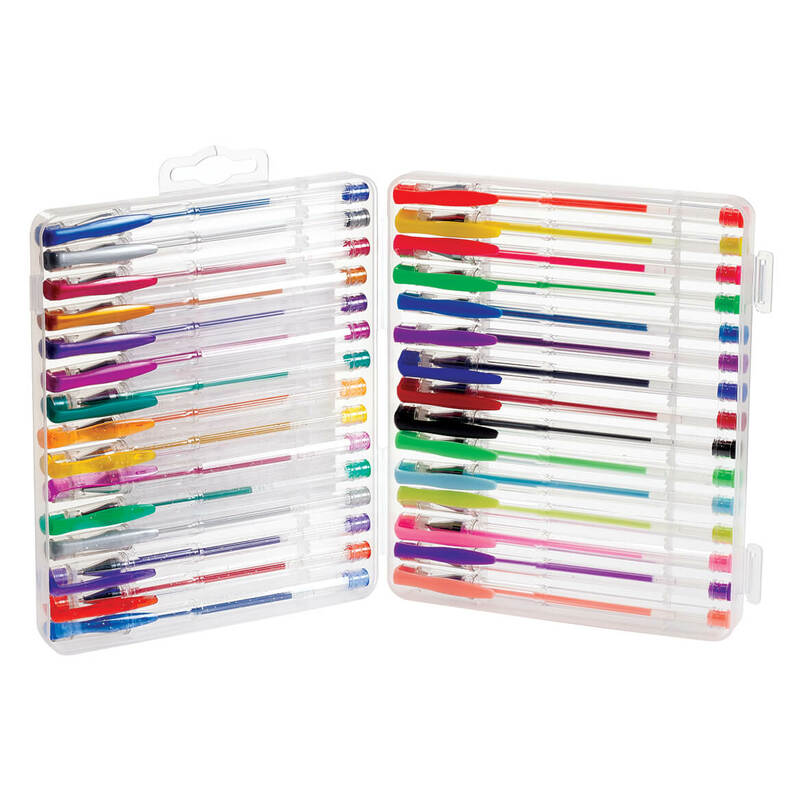 Take your coloring to the next level with this set of 30 premium gel pens with unique ink colors. Nestled in a clear, reusable case, each quality gel ink pen delivers free-flowing ink—perfect for drawing, doodling, sketching, coloring, scrapbooking, crafting, writing greeting cards, invitations and more. The set of 30 includes: 8 fashion glitter pastels (blue, red, purple, gray, green, pink, yellow, orange); 7 pearl colors (green, purple, dark purple, gold, red, gray, blue); 6 pastel colors (peach, lavender, pink, yellow, blue, green), plus 9 bold colors: black, red, blue, purple, light blue, bright green, bright pink, bright yellow, bright orange. Gel pens, approx. 6″ long. Snap-lock plastic storage case: 7 1/2″ long x 6″ wide. Made of durable poly with a snap closure, this flexible set of 9 poly envelopes with snap closures resist wear, tear and moisture—adding bright, colorful style to any filing task! The generously-sized plastic envelopes are great for organizing and protecting tax documents, holiday receipts, bills, travel expenses and more. Snap closures keep contents secure, and an open back pocket provides room to store additional receipts or notes. Set of 9 includes: three 9″ x 5 1/2″ letter-size colored envelopes and six 10″ x 13″ folder-sized envelopes. Shredding scissors work like ordinary scissors, but shred paper as they cut. 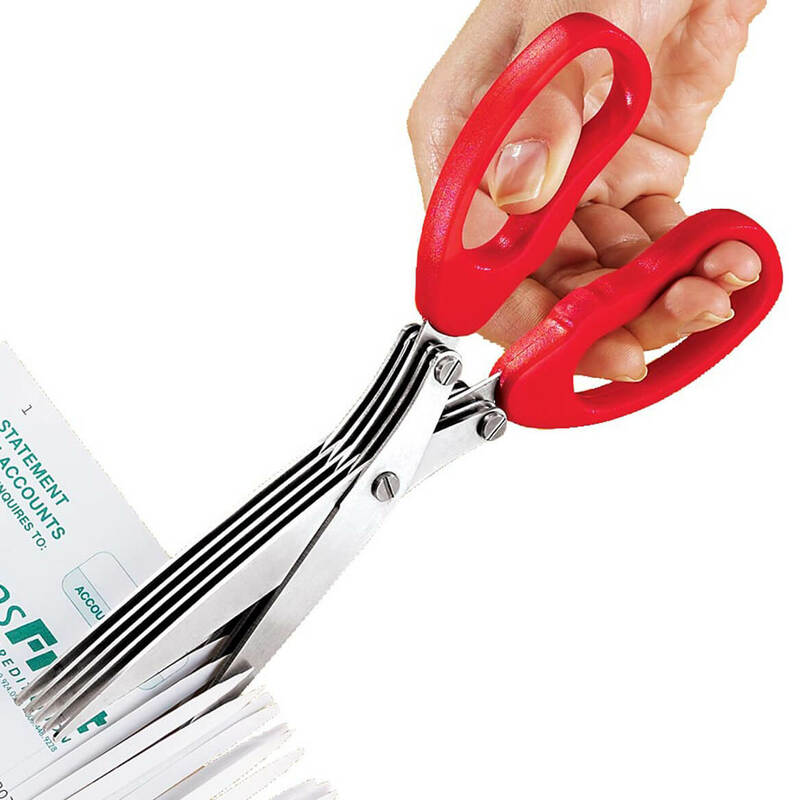 Easy-to-use shredder scissors feature stainless steel blades with five cutting heads, so they snip personal documents to shreds, quickly and quietly! Great for crafts too. 7 1/2″ long. 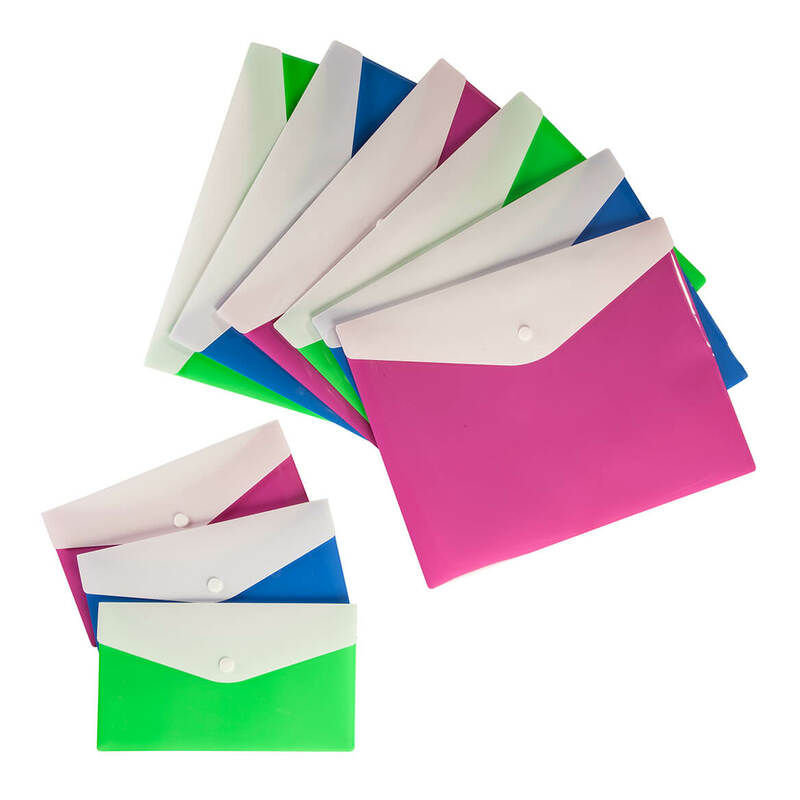 Made of durable poly with a snap closure, these flexible small poly envelopes with snap closures resist wear, tear and moisture—adding bright, colorful style to any filing task! The letter-size plastic envelopes are great for organizing and protecting tax documents, holiday receipts, bills, travel expenses and more. Snap closures keep contents secure, and an open back pocket provides room to store additional receipts or notes. 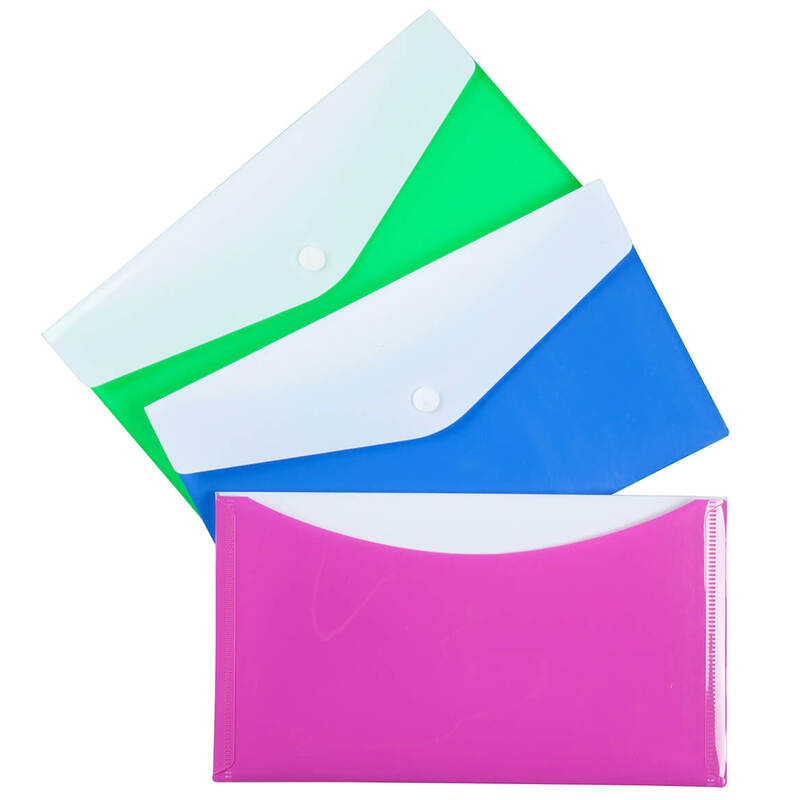 Set of 3 colored envelopes includes green, magenta and blue. Each 9″ x 5 1/2″. Organize CDs, DVDs, VHS tapes and photos in these clear, stackable media storage boxes. Stacking media storage boxes keep your items dust-free and easy to see. Small box holds either 57 CDs, 26 DVDs, 15 VHS tapes or photos, with 2 dividers and lid; 6 5/8″ high. Large box holds either 120 CDs, 54 DVDs, 30 VHS tapes or photos with 3 dividers and hinged lid; 6 1/2″ high. Media storage bins outside dimensions listed. Small measures 17 3/4″ long x 9 1/4″ wide x 6 1/2″ high. Large measures 19″ long x 19″ wide x 6 1/2″ high. 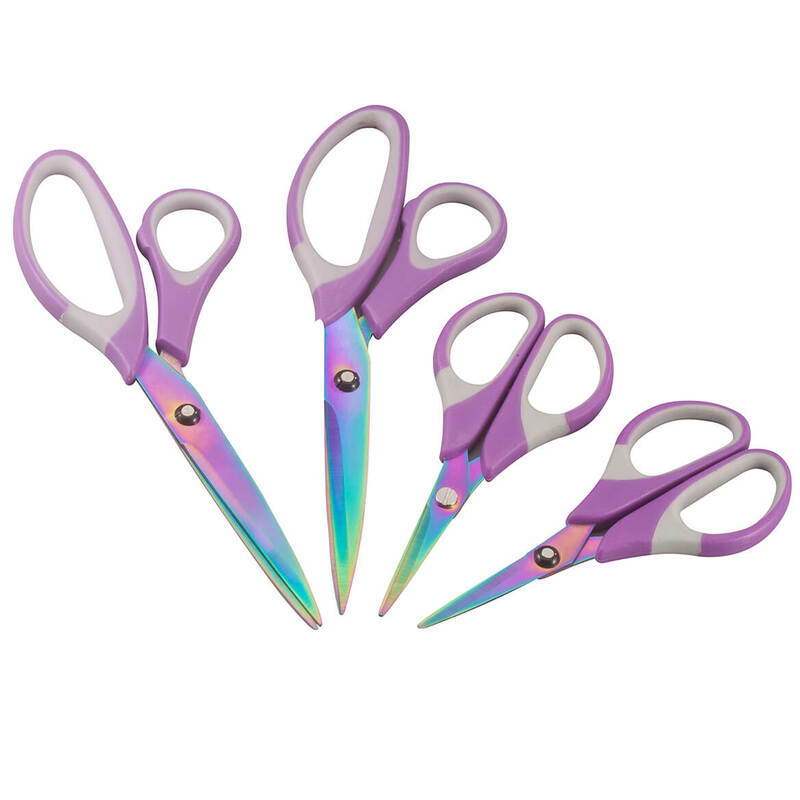 Strength meets style in these quality purple titanium scissors designed with fun handles. The versatile craft scissors boast durability and quality with stay-sharp edges and non-corrosive, long-lasting titanium finish that resists nicks and scratches. Comfort-grip handles assure non-slip stability … making these hard-working decorative scissors great for sewing, scrapbooking, crafts, hobbies, office work and more. Set of 4 includes 2 pairs 8 1/2″ long and 2 pairs 5 1/2″ long. Stock your kitchen, office, craft room and workshop with these strong, versatile titanium scissors. Stay-sharp edges and non-corrosive, long-lasting titanium finish won’t nick or scratch. 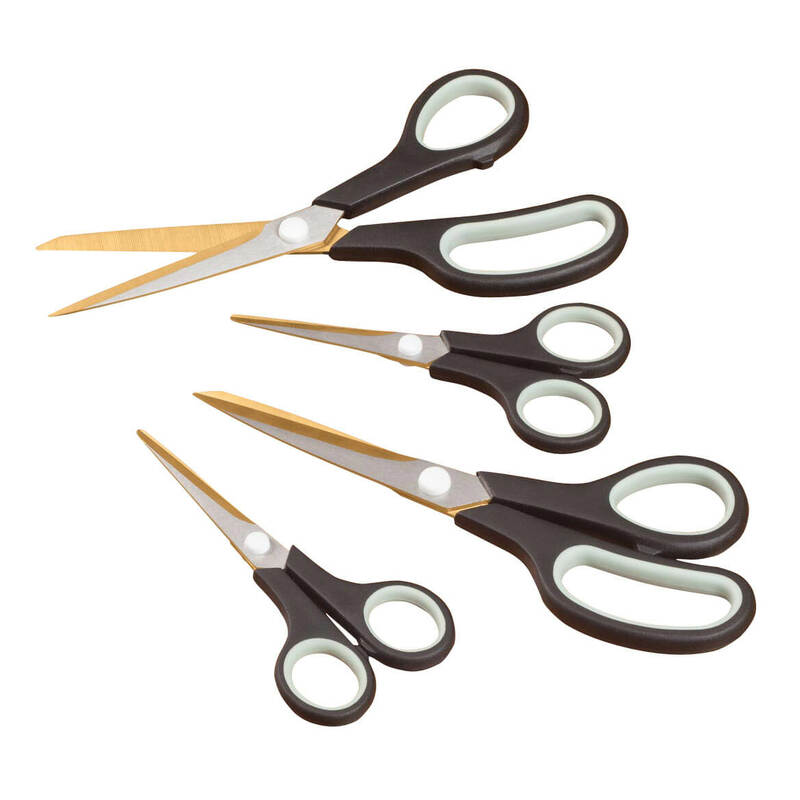 Comfort-grip handles of scissors offer non-slip stability. 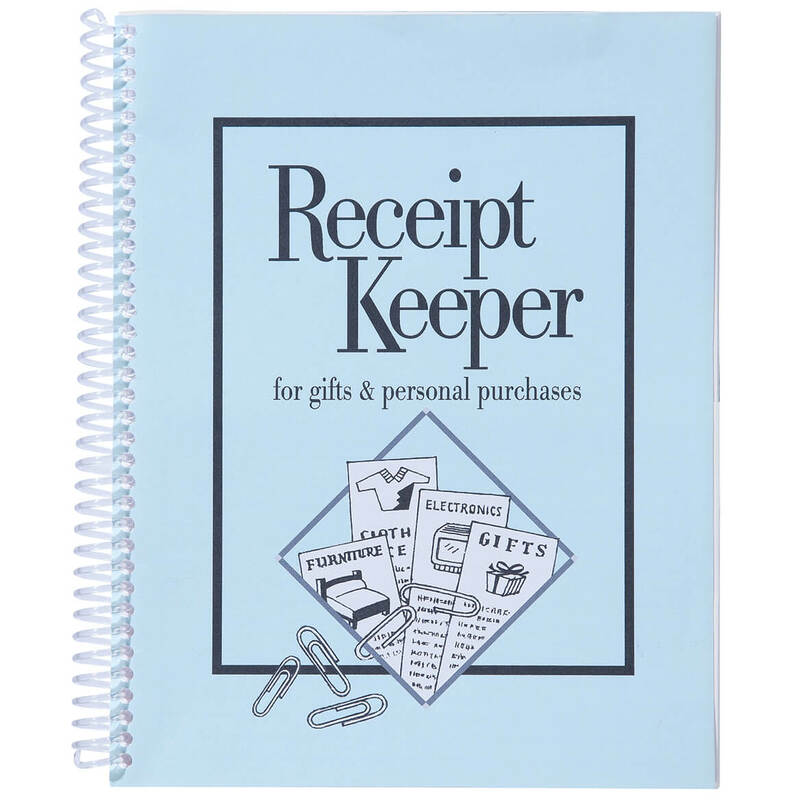 Set of 4 includes 2 pairs 8 1/2″ L and 2 pairs 5 1/2″ L.
Organize receipts through the year in this pocketed receipt keeper for quick, easy retrieval when needed. The spiralbound receipt organizer includes 12 pocket pages for all your receipts, from holiday gifts to personal purchases, home updates, business expenses and more. Helping simplify exchanges, returns or tax preparation, it’s a smart step up from a shoebox, junk drawer (or worse … your purse!). 7″ x 9″. 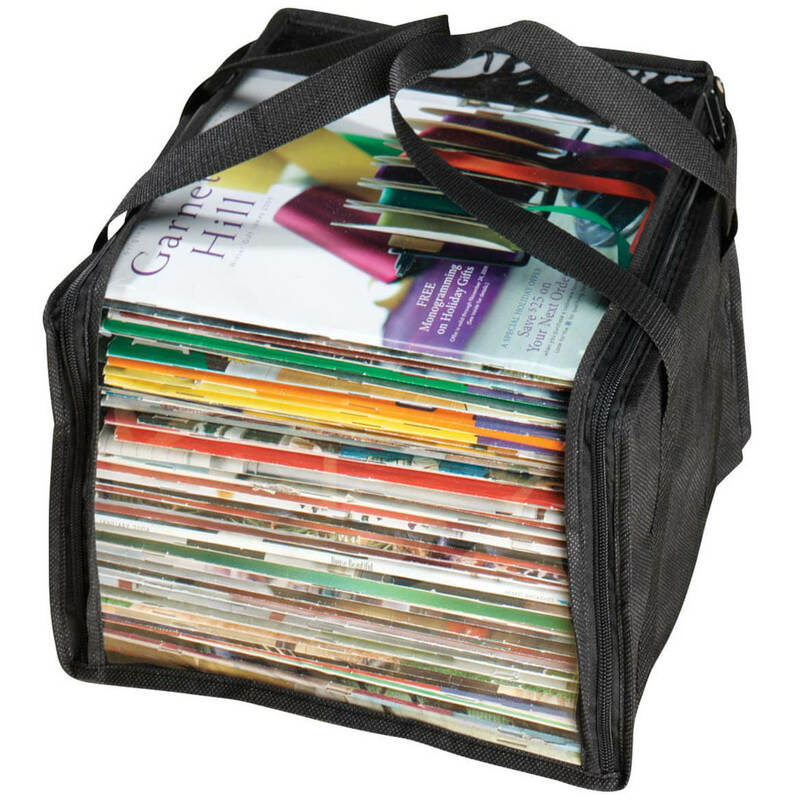 Store and protect favorite magazines in these durable magazine storage bags with clear plastic panels for easy viewing. Featuring breathable fabric construction with reinforced seams and heavy web handles, each plastic magazine storage includes full zipper opening for quick access to contents. Set of three magazine storage solutions in black; 11 1/4″L x 9 1/4″W x 7″H each. Retro fun with function! 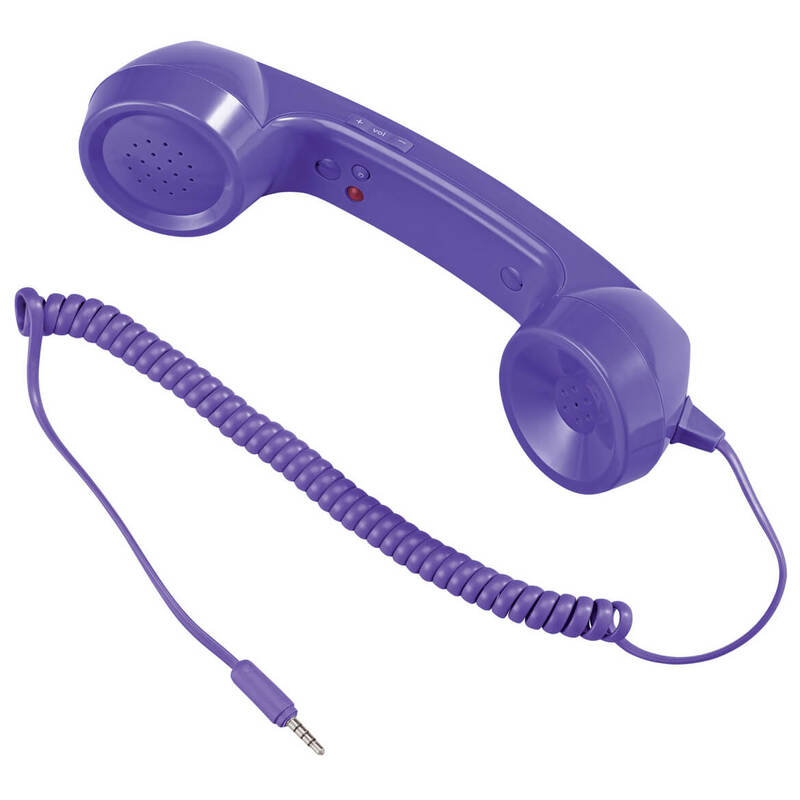 Simply connect handset to your cell phone to enjoy old-fashioned conversation. When plugged into your mobile’s standard (3.5mm) headphone jack, you can answer, make calls or keep chatting comfortably. Reduces concern of head radiation, too. No batteries required. 8 1/2″ long x 2 1/4″ wide x 2″ high. Plastic.